If you wonder what most people intended a “futuristic” computer to look alike in the late ’70s, this little-known Dutch PC can give you an answer: it had to be something to you could expect to see in the lobby of the orbital station’s Hilton hotel of 2001 – A Space Odyssey. 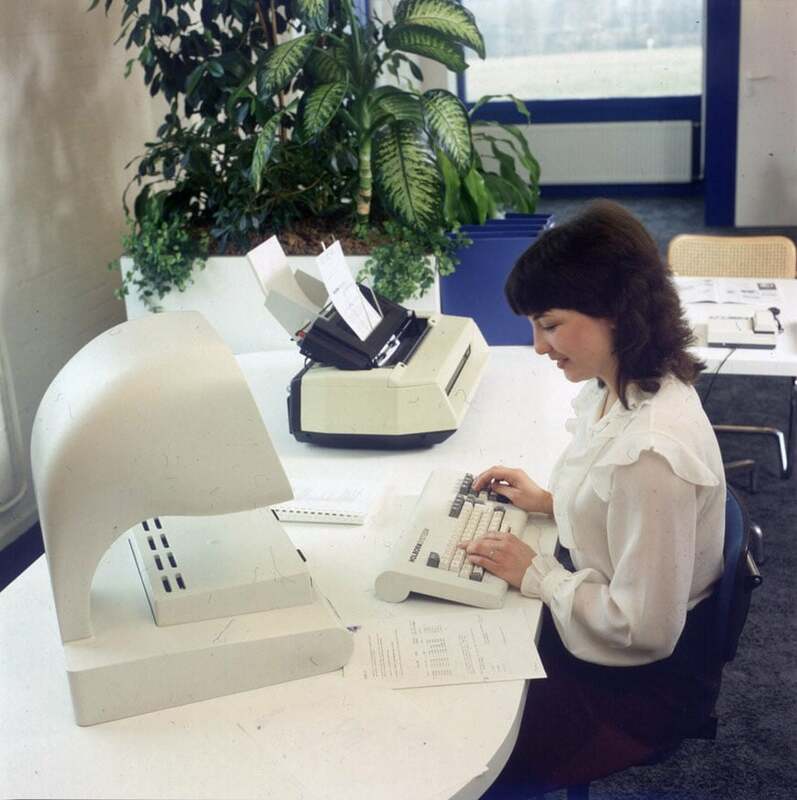 Released on the market in 1981, the model 9100 was produced by Holborn, a small computer manufacturer based in Enschede, the Netherlands (the brand name was actually a contraction of “Born in Holland”. 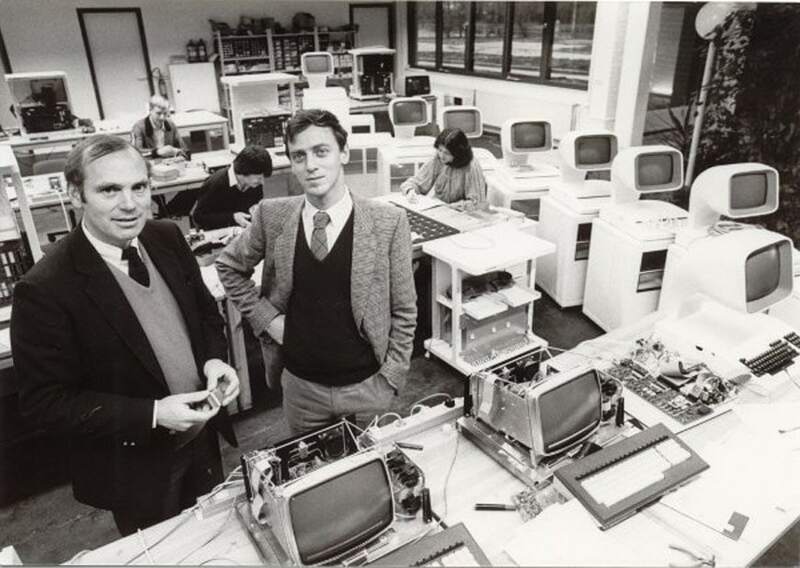 Technically developed by Hans Polak and Henny Beavers, and designed by Dutch industrial design studio Vos, the system comprised a single-piece keyboard-monitor console and a massive external box which contained two floppy drives (an optional 30MB hard disk was also available). There are few doubts that the distinctive hallmark of the Holborn 9100 was its periscope-like 12” built-in monitor protruding from the console. The full-optional version also included a photosensitive light pen to be used on CRT screen as an additional input peripheral (the mouse was still not commercially available at the time). Technically, the 9100 was based on a Zilog Z80A CPU and equipped with 72 KB of RAM (expandable to 220 KB). 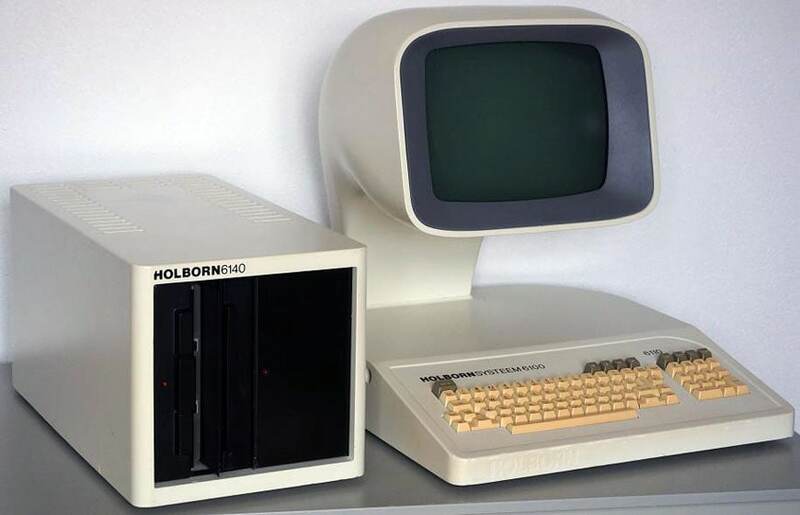 The Holborn computers were sold with two possible operating systems, a classic CP/M and the custom-made Holborn OS. 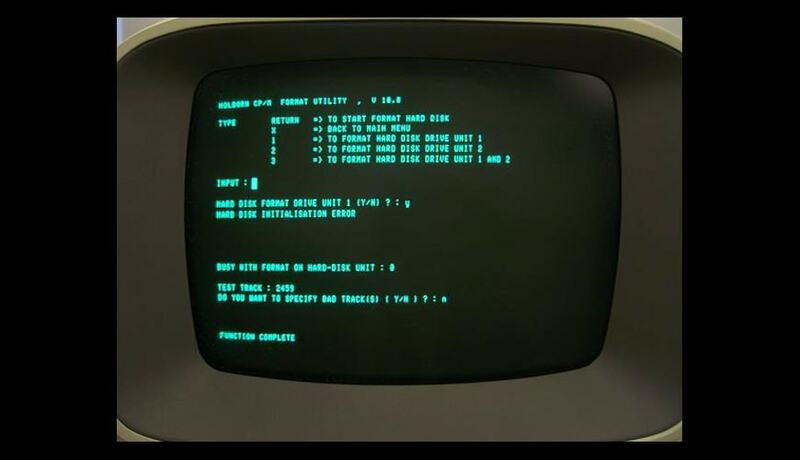 The design of the Holborn set it apart from most computers of the time, its fluid, organic shape is indeed quite different from the hard-edge forms of, say, the Commodore PET 2001. The Holborn’s aesthetic was possibly inspired by that of classic modern furniture of the ’50s and ’60s made in molded polymers, such as the Tulip chair by Eero Saarinen, or the Panton chair. 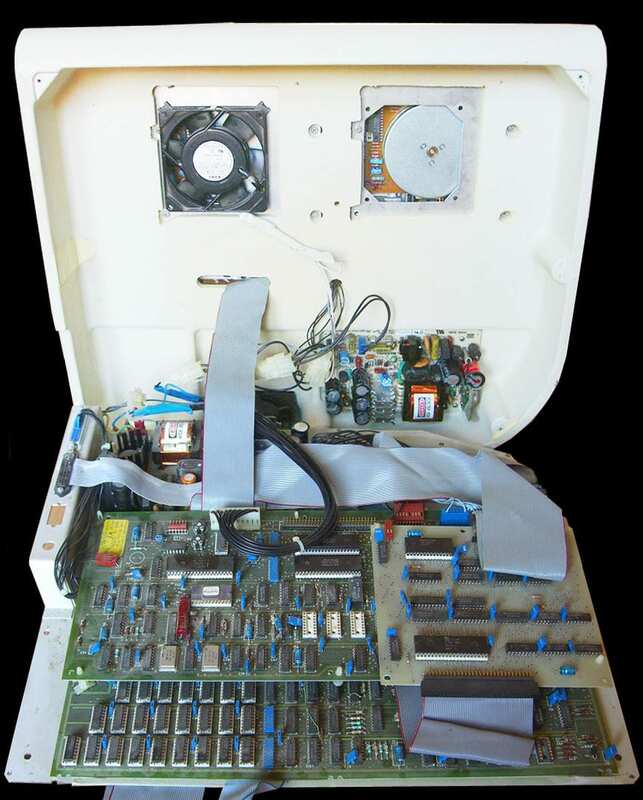 Indeed, the case of the 9100 was almost entirely made in thermoformed white plastic. Many, I included, find some similarity between the vaguely anthropomorphic housing of the 9100 and the head of E.T., the extra-terrestrial. 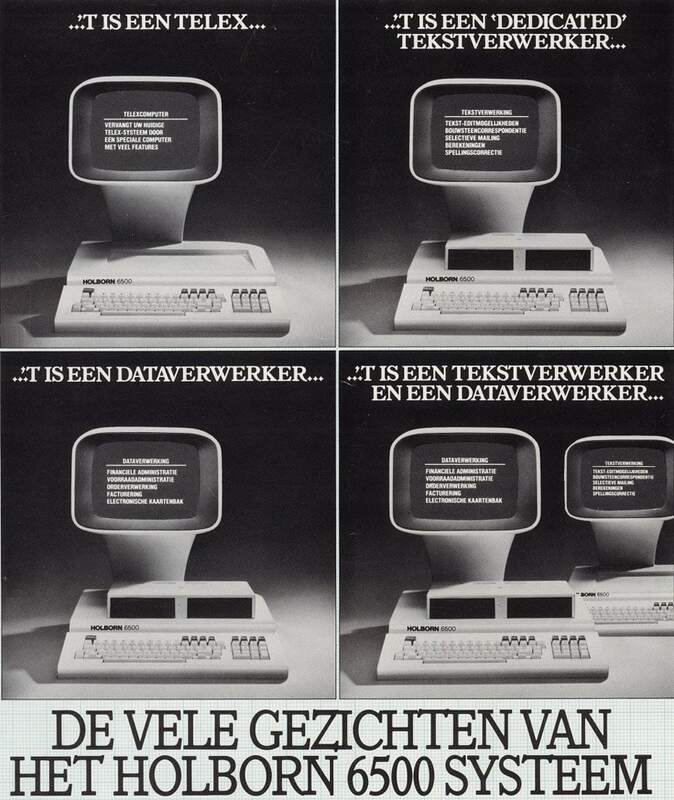 Yet, the Dutch computer was designed years before the release of the film by Spielberg, in 1982; therefore, I think this was pure coincidence. 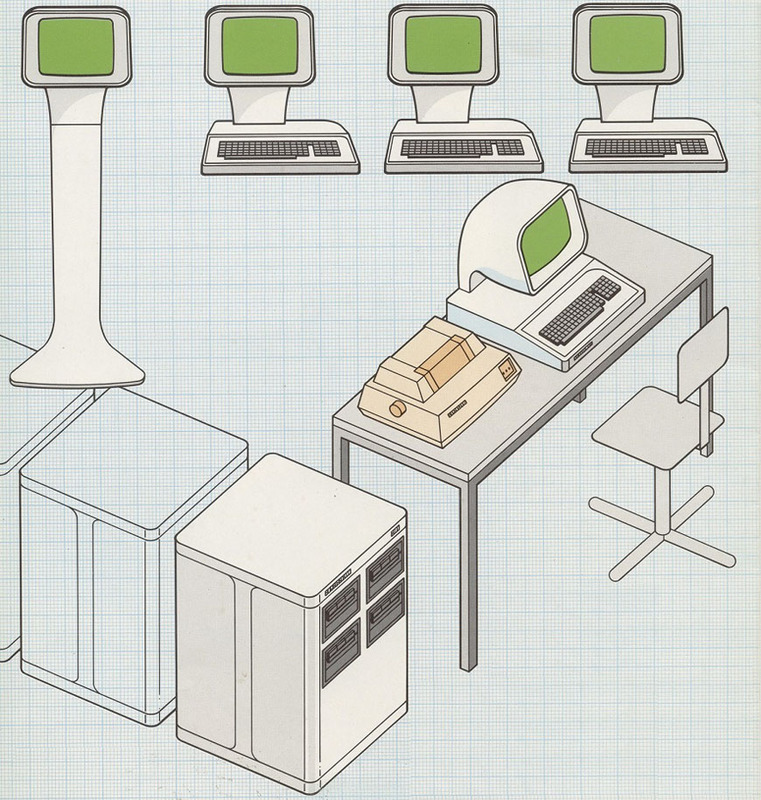 Four different models of the computers were manufactured: the 9100, the 7100, the 6500, and the 6100, with the lower-numbered models being actually produced after the release of the 9100. Overall, the company produced about 200 machines, of which it is estimated that only 20 survive today, thus making the Hosborns among the rarest historical personal computers around. 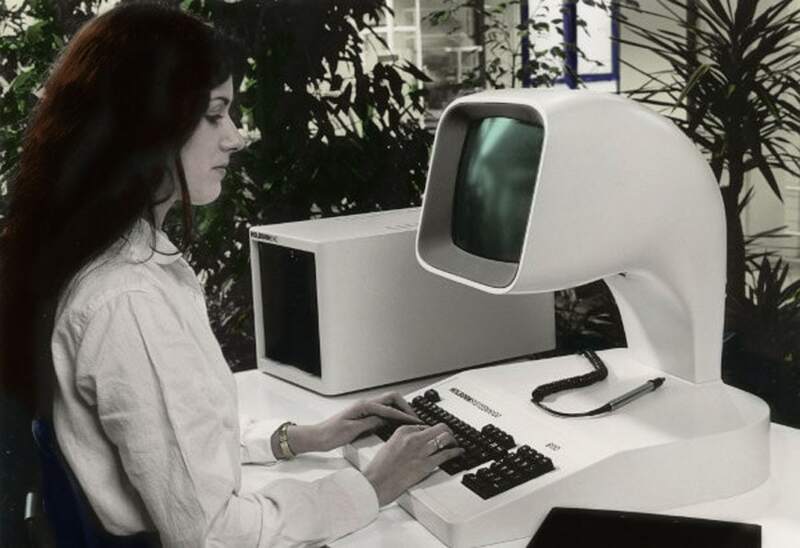 The computers produced by Holborn, with their exclusive design and good technical specs, were rather ambitious machines, mostly aimed to small to medium businesses. 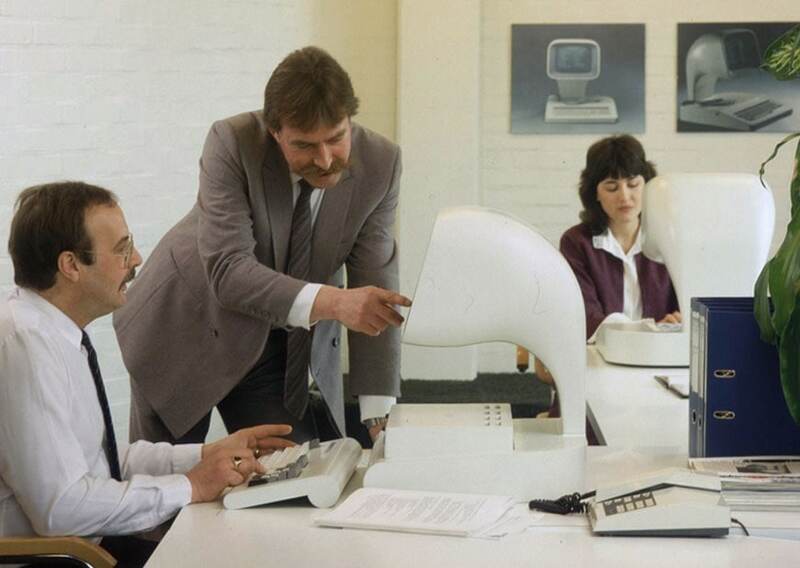 Yet, the advent of IBM personal computers and a retail price as high as $10,000 contributed to the commercial failure of the 9100 and the following series, which eventually forced Holborn to declare bankruptcy in 1983.